If polar equations have you second-guessing your future as a nuclear physicist, fret not! Almost every Pre-Calculus student I have tutored has struggled here, and it isn’t surprising at all. Remember the first time you saw an equation and were introduced to these strange x and y variables? It may seem like second nature now, but you were learning about a whole new way to communicate about points and curves. Polar equations are no different. And I have good news! 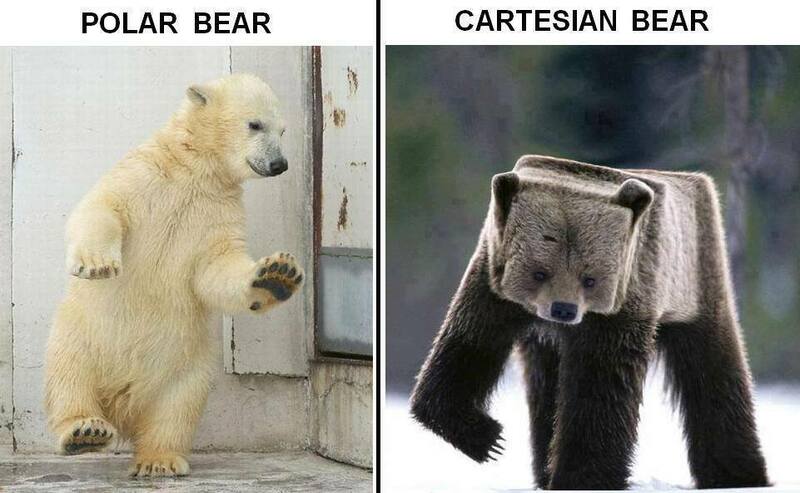 You already have all the tools you need to learn to express equations in polar form. In fact, you’ve been learning them for years; you have just been using them differently. Today, I’ll discuss a foolproof method -- Cambridge Coaching’s Five Step Process for converting polar to Cartesian equations. Why do Polar Coordinates and Equations exist? Polar coordinates exist to make it easier to communicate where a point is located. Let’s look at a quick example. Ignore the circles on the plot for a second and picture the rectangular system you’re familiar with. Where would you put the point (3,4)? If you would put it by the red dot, you’re correct. By now, you know that the red dot can also be represented as (5,0.92) in polar coordinates. If we wanted to move the dot to the 30° line, while maintaining our distance of 5 units from the origin (the blue dot), we could simply express it as (5,30°) or (5,𝝅/6) in polar coordinates. If we were to express it in rectangular coordinates, the calculation would require a few extra steps. So, although polar coordinates seem to complicate things when you are first introduced to them, learning to use them can simplify math for you quite a bit! Similarly, converting an equation from polar to rectangular form and vice versa can help you express a curve more simply. Follow these five steps to convert equations between the polar and rectangular systems. A quick glance at your equation should tell you what form it is in. If it contains rs and θs, it is in polar form. If it contains xs and ys, it is in rectangular form. If your equation is in polar form, your goal is to convert it in such a way that you are only left with xs and ys. If it is in rectangular form, your goal is to only have rs and θs. It sounds simple, but reminding yourself of your goal will help you avoid getting stuck half way through converting your equation (or going around in circles). Now, take a moment to examine your equation. Here are some key components you should be looking for. If they are not present in your equation, you should be thinking about how you might be able to make them appear. Bearing in mind the goal you set in Step 2, begin to substitute. Simplify your equation by combining like terms. Where appropriate, mostly if you have x2s and y2s, think about completing the square. Where possible, a fully simplified equation will express r in terms of θ or y in terms of x, but this will sometimes be impossible without truly ridiculous amounts of manipulation. Let’s apply this method to a few examples. Step 1: This is a polar equation. Step 2: Our goal is to arrive at an equation that only contains x and y terms. Step 3: Looking at the equation above, the right-hand side (RHS) could turn into rsin(θ), but is missing an r term. The left-hand side (LHS) could turn into 5r2, but is also missing an r term. Aha! Since both the LHS and RHS are missing the same term, let’s multiply both sides by r.
Step 4: Now that we have an equation with terms that can be converted easily, we can begin to substitute. Step 5: Finally, we combine like terms and simplify the equation. Our result is mostly simplified, but we can take a few more steps. Some mathematicians will ask that the RHS be set to zero if the equation is truly simplified. Others will ask that any recurring term be factored out. All three equations below are in varying degrees of simplification. Step 3: Looking at the equation above, let’s first rearrange it so that the trigonometric terms are on the RHS. See anything familiar? The RHS can be simplified to 1 using a pythagorean identity. How can we turn the LHS into r2? We have two options: we can either multiply both sides by r or square both sides. Multiplying both side by r would mean that the RHS cannot be easily converted. If we square both sides instead, the equation is easier to solve. Step 5: Finally, we combine like terms and simplify the equation. Notice that you will arrive at the equation for a circle with a radius of 1/3. Wasn’t 9r2=1 or r=1/3 a simpler way to show it? This is why polar equations can be so helpful! Step 1: This is a rectangular equation. Step 2: Our goal is to arrive at an equation that only contains r and θ terms. Converting from rectangular form to polar form is much easier! Step 3: Looking at the equation above, we can group the second-order terms in preparation to convert them to r2. Step 4: Substitute for all x and y terms. Step 5: We could take the simplification on step further here, but that is not necessary. Both answers have been shown below. And there you have it! Follow our Five Step Process whenever converting Polar to Cartesian equations and soon enough it'll become second nature! For more relevant reading, check out these other blog posts, written by our math tutors: Triangles, Words, Drawings, & Math Problems, and Covering All the Angles on the Math SAT II. Looking to work with Maryam Amr? Feel free to get in touch! Cambridge Coaching offers private in-person tutoring in New York City and Boston, and online tutoring around the world.